You know your website is critical to your business so you laboured over the design, development and search engine optimisation. It goes live and you jumped with joy! Now you can plan its maintenance. What? Have you not signed up for regular web maintenance? That is not just a bad idea - it is a massive oversight altogether. You are well versed that the internet is not a safe place. Much like your computer or phone, your website needs to be kept up to date with the latest security updates to keep it secure as well as smooth. A 2013 Forbes report stated that every day more than 30,000 websites are hacked. Now in 2017, cyber criminals are more specialised and malicious in their intent than they ever were across history. Therefore, by taking possession of your website they can utilise your domain for criminal activities or can implement malicious codes to infect the smartphones or computers of the individuals browsing your site. In both cases, it does not make you or your company look good. Do you need more specific reasons as to why you must sign up for regular web maintenance with dedicated developers from an outsource company? Curb the urge to set it and forget it when it comes to your digital presence, as attracting visitors is only the first step. You can avoid such a situation by having an outsource web development company take care of your maintenance. If you aren’t sure whether you need outsourcing services, Kuzor have put together a few considerations for you here https://www.kurzor.co.uk/services/outsourcing-services which may help you to decide whether it’s right for you. 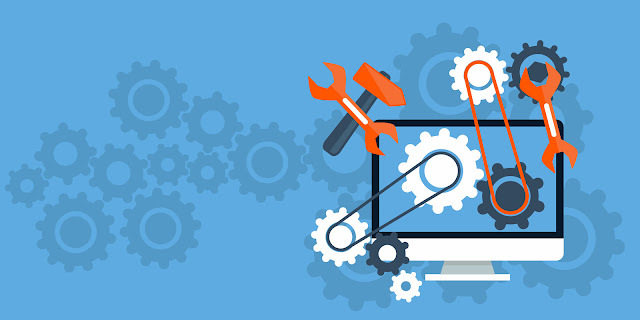 If you’re looking for some easy ways to stay on top of your website maintenance, read on! One of the most frequent reasons that a website gets compromised is out of date software. If your website is constructed using a custom code, then you have to rely on your developers to ensure the code stays up-to-date to safeguard against any security exploits. Alternatively, if your website is designed on a Content Management System (CMS) platform, which is typically the right way to go, then you will need to ensure that your software is equipped with the latest patches and versions. Considering how your website is hosted, you should also pay attention to your server configuration. If you are using a cloud-hosted CMS then this could take care of itself. However, if you are hosting directly then you should keep an eye on things such Apache, MySQL and PHP to make sure they are abreast with latest patches and updates. Alternatively, you can opt for outsource php development as it is a part of 80% of the server end programming today. A couple of years ago, the standard screen size for the majority of internet users was 1024x768. Today, it is much higher. This means that your website which was developed for lower resolution now looks tiny as well as cramped on today's screens. This can affect credibility and usability and so you will need to either schedule frequent website redesigns to address this or take a credible website developer on board to sync your digital presence with the ongoing times. Such is the cut-throat pace of modern advancement that a handful of years seem like a century in the digital stratosphere. This is because it used to be enough to only have a decent looking website tested across all the major browsers. Today, a majority of people access internet on the go and that means optimising your website, and making it lightweight enough to meet the needs of modern smartphones and tablets. Although it is a relatively subjective aspect, it still matters to several internet users. However, if your website looks outdated as it has been developed using a style that was popular many years ago it is going to harm your organisation’s credibility. Many studies have proven that design affects credibility on the World Wide Web. It is crucial to remember that Google changes its algorithm hundreds of times per annum. This means that with the passage of time, your position in Google's index will change depending on how your website is constructed. It also means you must pay extra attention to SEO trends to ensure your site is structured with the required priorities.